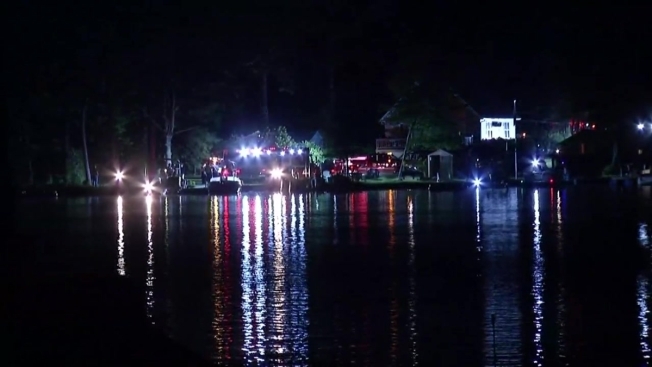 Authorities have recovered the bodies of two men who went missing while boating on a Rhode Island pond. Coventry police Chief John MacDonald said the bodies were recovered from Johnson's Pond on Thursday morning. They had been reported missing at about 11 p.m. Wednesday. MacDonald said they apparently drowned. Their names were not immediately made public. Police originally said a woman on a pontoon boat told them a 54-year-old man from Cranston and a 48-year-old man from East Providence fell off the boat and did not resurface. But on Thursday, MacDonald said they men had apparently gone in the water to save the woman. MacDonald says alcohol was apparently involved. The search involved multiple local and state agencies as well as private citizens.